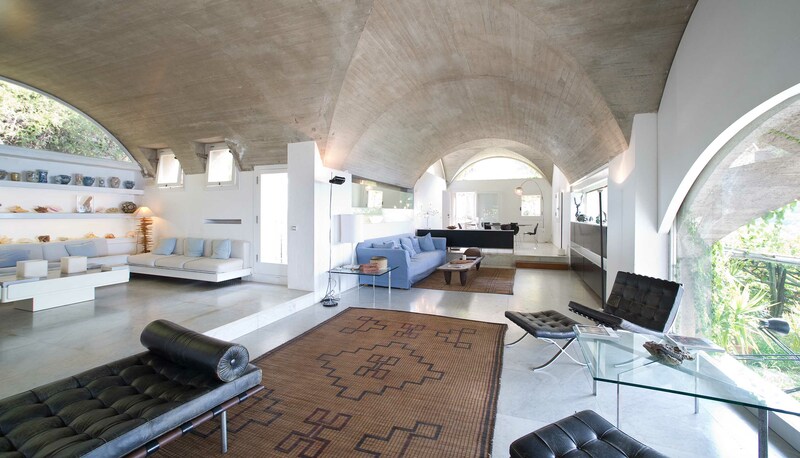 The Villa, which dates back to the ’60s, was built according to the design plans of of a famous Italian architect. The architecture and its furniture mirror this period while the Saracenic Tower was built in the 14th century to protect the area from invaders’ attacks. 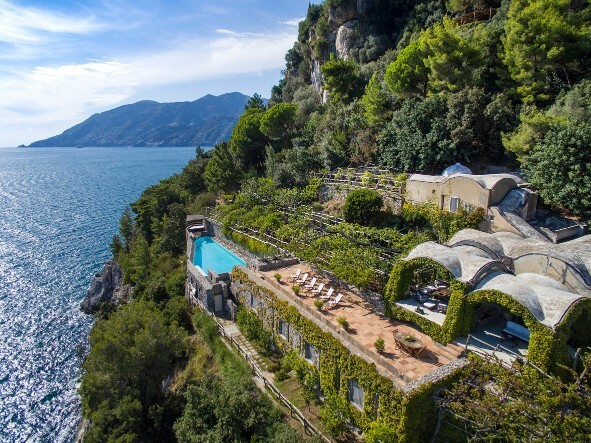 Villa Luisa is an exceptional contemporary villa. 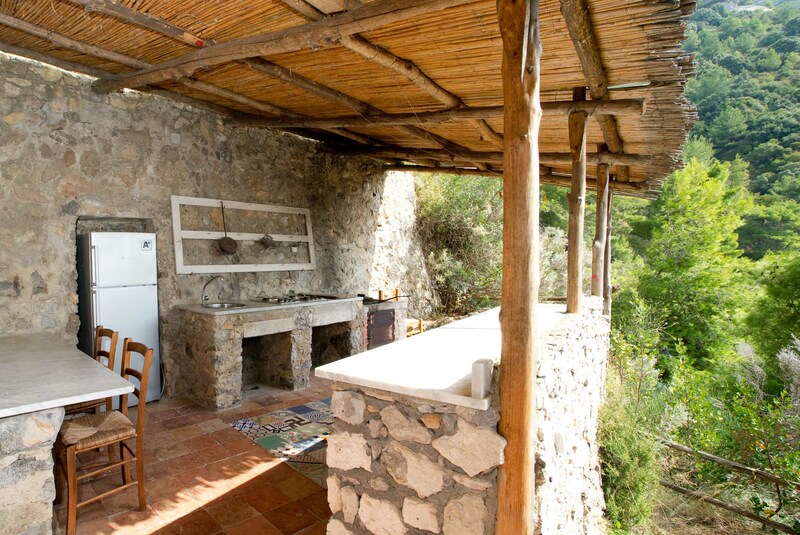 It stands in a splendid panoramic spot, between the coastal road and the Mediterranean Sea. 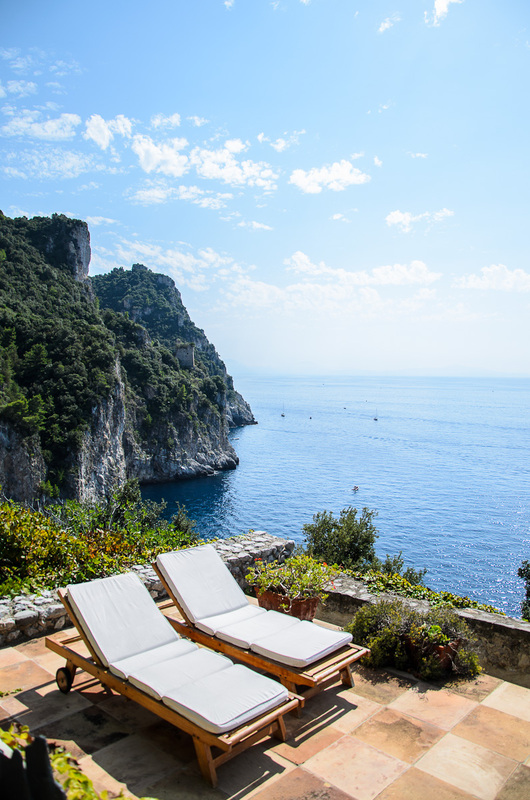 Guests have exclusive use of a panoramic salt-water swimming pool, direct access to the sea, wide private terraces with a view of the sea, and a private garden. 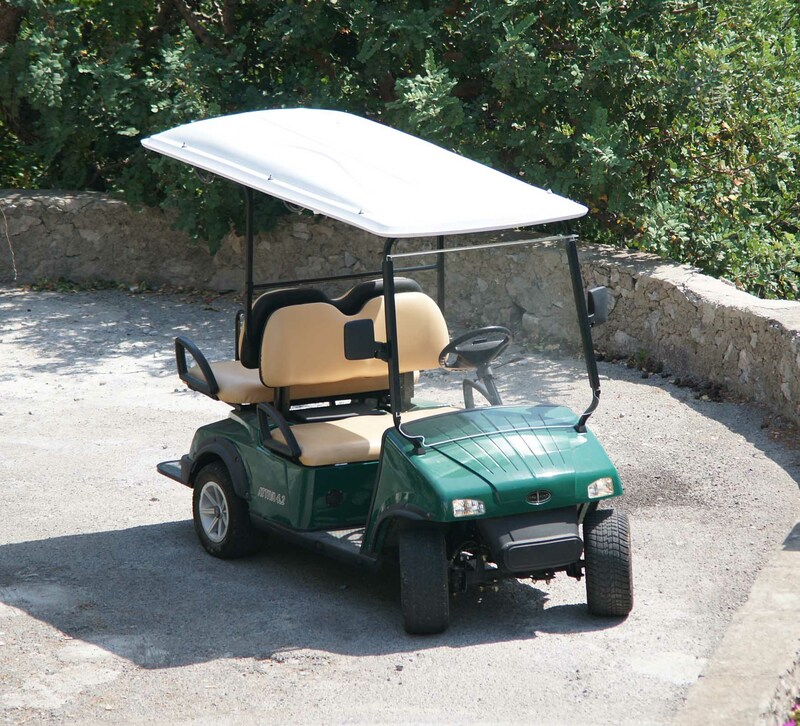 Guests are provided with golf carts to drive up and down from the villa to the parking area. 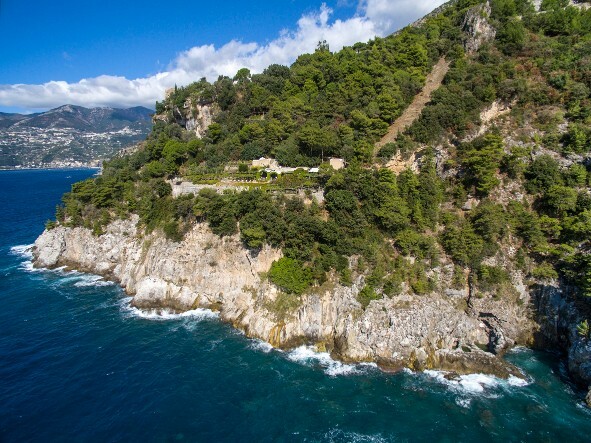 Just outside the city center of Maiori, this property lies off the main coastal road and descends all the way to the sea. 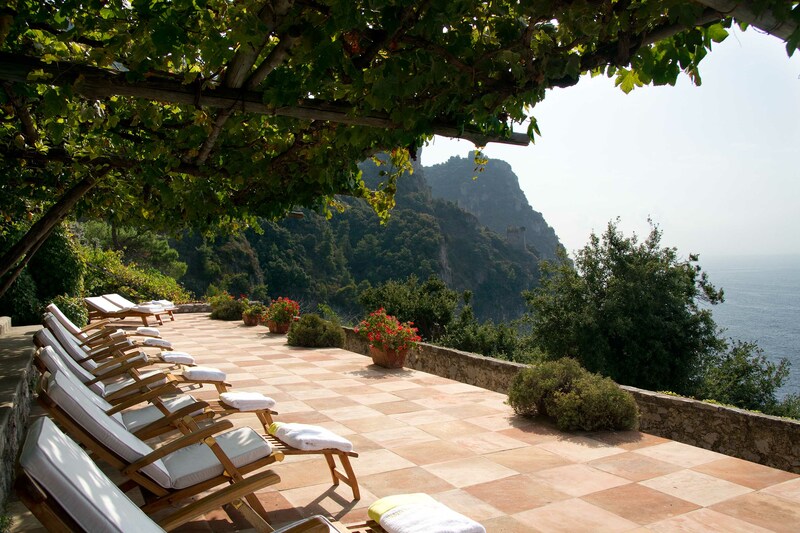 The location is ideal for those who want a quiet stay but still prefer to be close to the major towns of the Amalfi Coast. 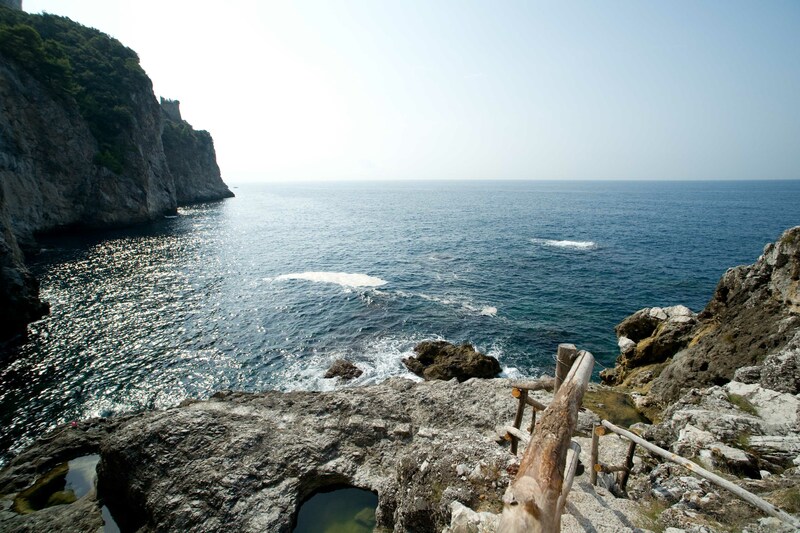 The center of Maiori, just 3 km away, is a well-known, active town with the largest beach on the Amalfi Coast. The town offers a colorful nightlife as well as good restaurants and shops. Maiori has a small tourist port with ferries to Amalfi. 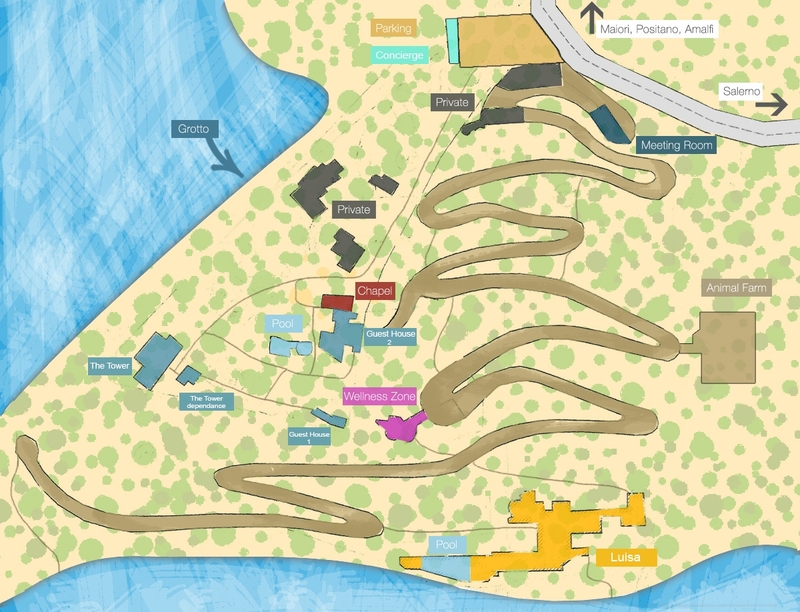 Nearest Beach: rocks 300 m.
Note: Due to villa layout and multiple levels, this property may not be suitable for individuals with mobility issues. Annex: Independent bedroom with en-suite bathroom with shower. Air conditioning. Copy of passport and permanent home address of each guests to be provided prior to check in. • For administrative reasons, the property does not accept American Express and Diners card. 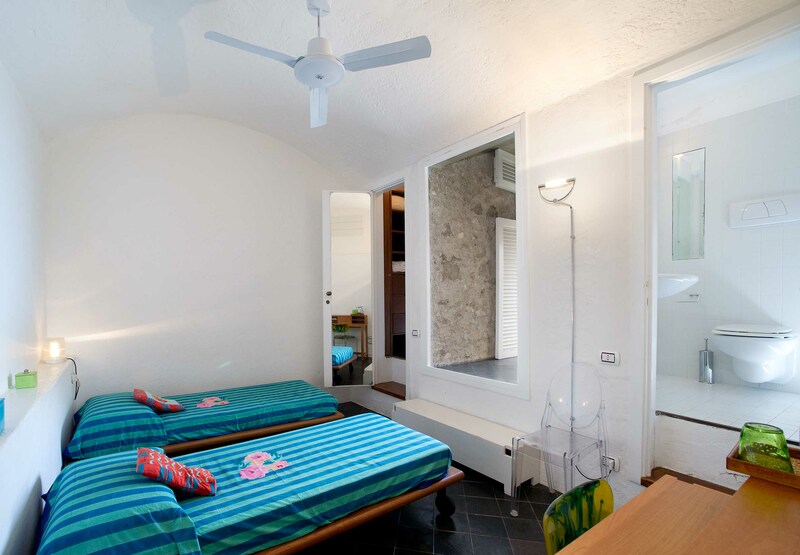 Villa Luisa is a bright and elegant, three-story, 400 square meters (4300 square feet) villa. All rooms enjoy air conditioning and Wi-Fi. 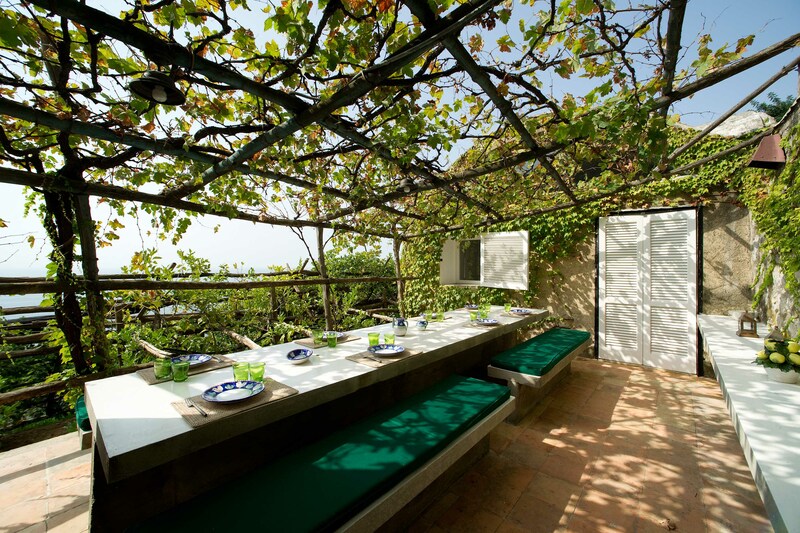 Access is down a small garden path, which will bring you to the huge terrace with a solarium, and to the entrance door. 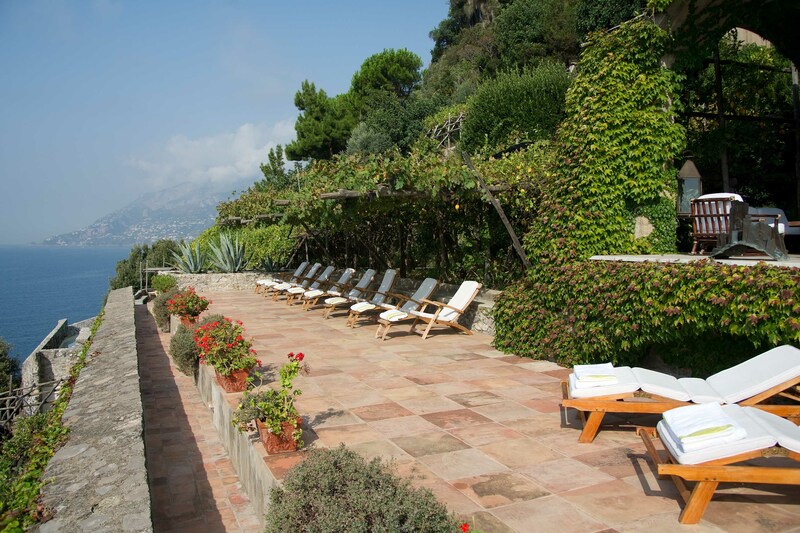 The terrace is a beautiful, well equipped with sun beds. 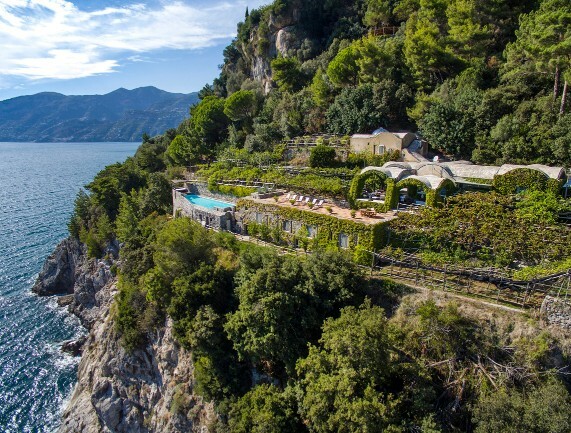 A part of the terrace is covered to protect in case of rain, but it all enjoys beautiful sea views, which is one of the particulars of this property. The patio area is also equipped with sofas, armchairs, and a table where outdoor dining is possible. Middle Floor, (entrance level): Passing through the glass entrance door, you find yourself in the large living room. The area is divided into three open spaces: on one side the fireplace with a sofa and TV (with DVD player), in the middle area a big light blue sofa facing the sea, while the third zone is the dining area adjacent to the kitchen. 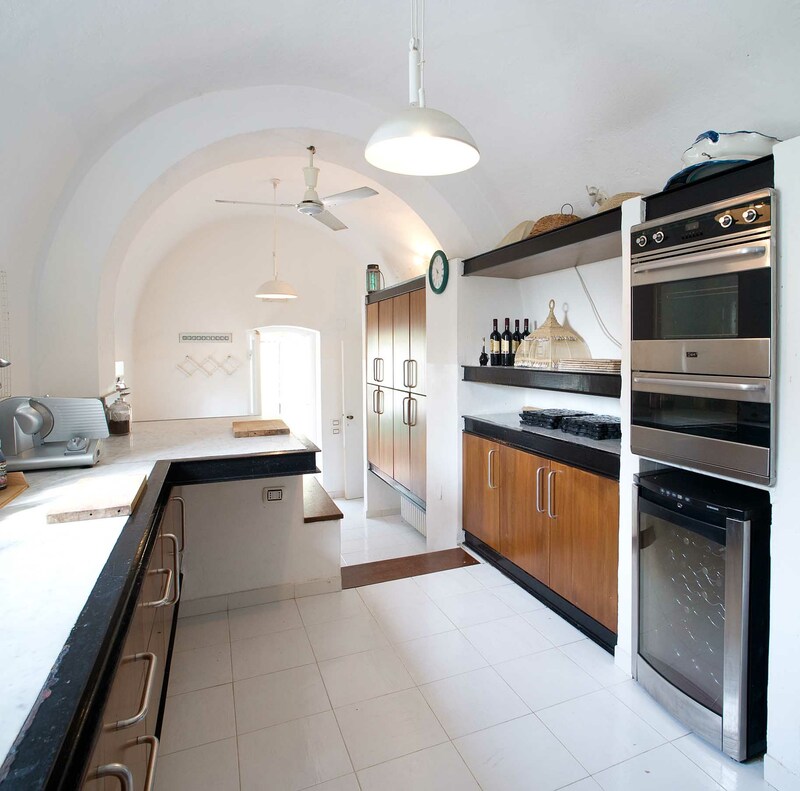 The industrial and professional kitchen is equipped with a four-range stovetop, grill, dishwasher, oven, refrigerator, freezer, wine refrigerator, and meat slicer. 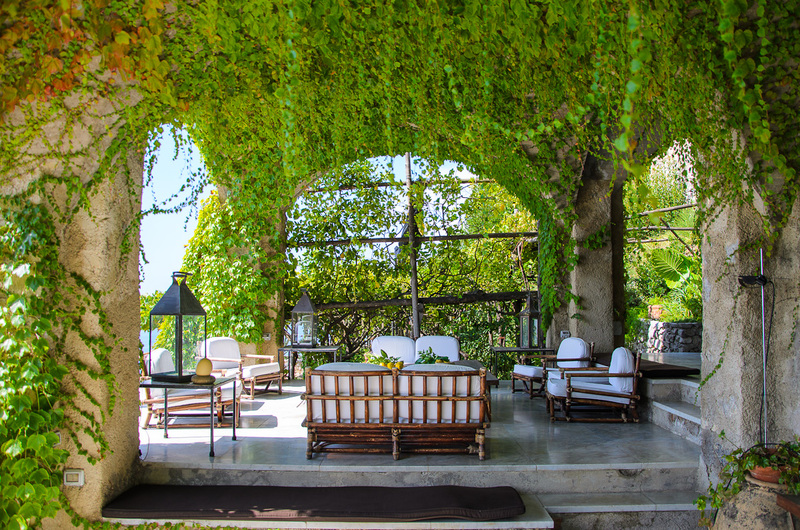 The living room and the kitchen are connected by an outdoor dining terrace, perfect for breakfast, lunch, or dinner. A second external area boasts a large cooking range with an indoor barbeque grill and an open-air dining area with outside kitchen. Upper Floor: Twenty steps up from the ground floor brings you to the first floor. Here you find the master bedroom and a double bedroom. 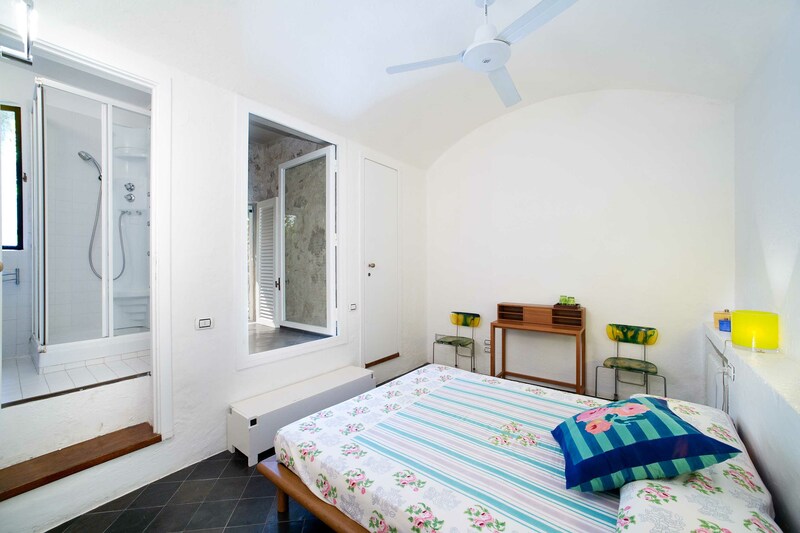 The two bedrooms are located on opposite sides of the floor, completely independent, both with private bathrooms. 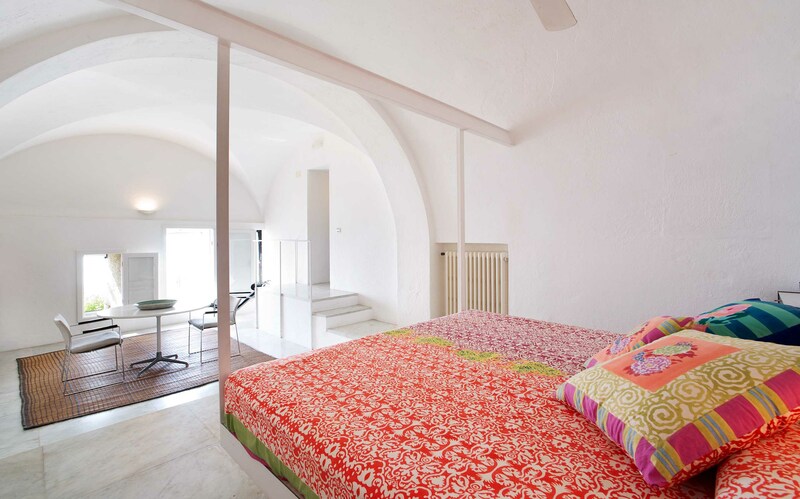 The master boasts a four-poster bed, a writing desk with bookshelf, and arched ceilings. There is also a walk-in closet and the bathroom with bathtub. 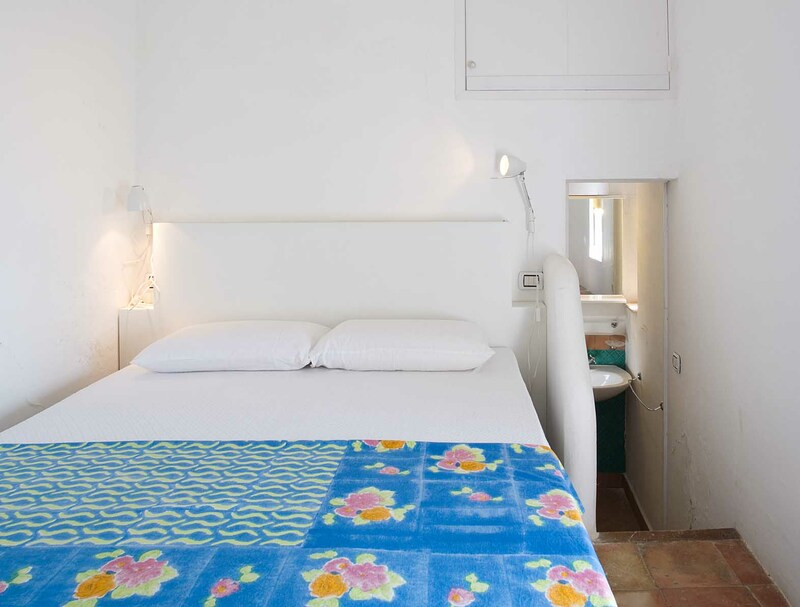 The double bedroom is located in front of the laundry and enjoys access to a small terrace. The adjacent bathroom has a shower. 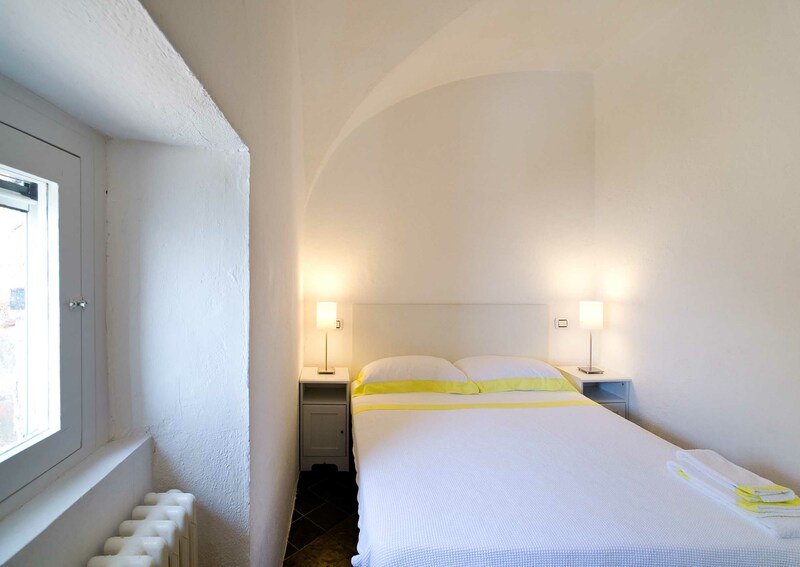 Lower Floor: A long corridor with arched ceilings brings you to the lowest floor of the villa. Here we find two twin bedrooms and two double bedrooms, all with private bathrooms with showers and small walk-in closets. The last of these double rooms has direct access to the pool area and a changingroom with showers leading directly to the swimming pool. 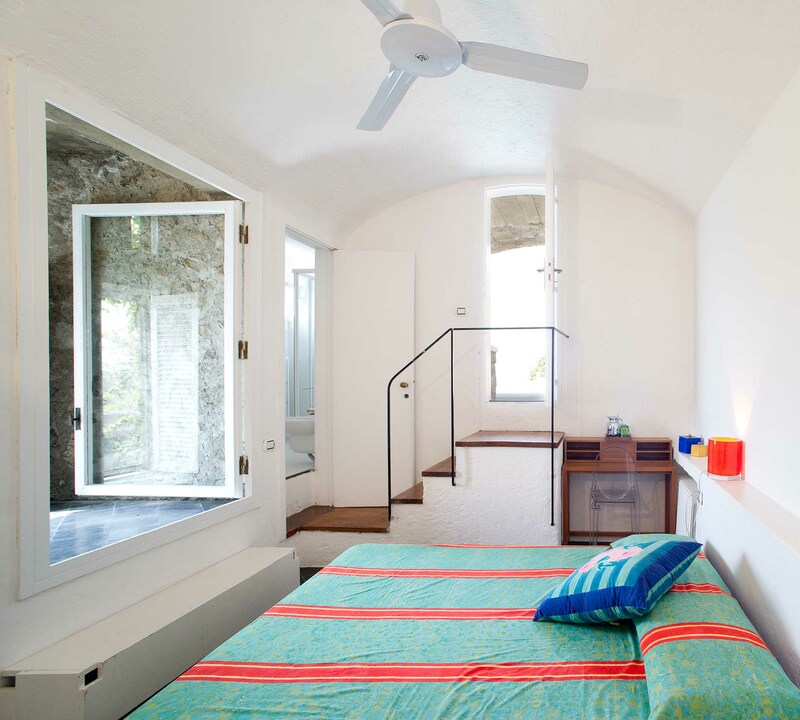 Dependence/Annex: A guest bedroom with a double bed and bathroom with shower is located down a flight of stairs from the pool terrace. 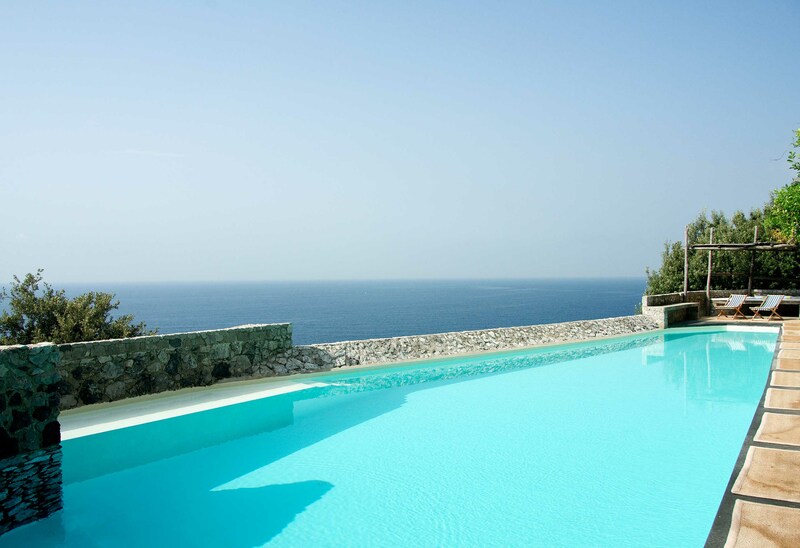 Swimming Pool: The beautiful, saltwater infinity pool boasts amazing sea-views. The large pool deck enjoys a sun deck and a small covered space with a daybed. The swimming pool is 5 x 20 meters, and ranging from 1.4 to 2.3 meters deep. Other features include a salt water purification system directly from the sea. 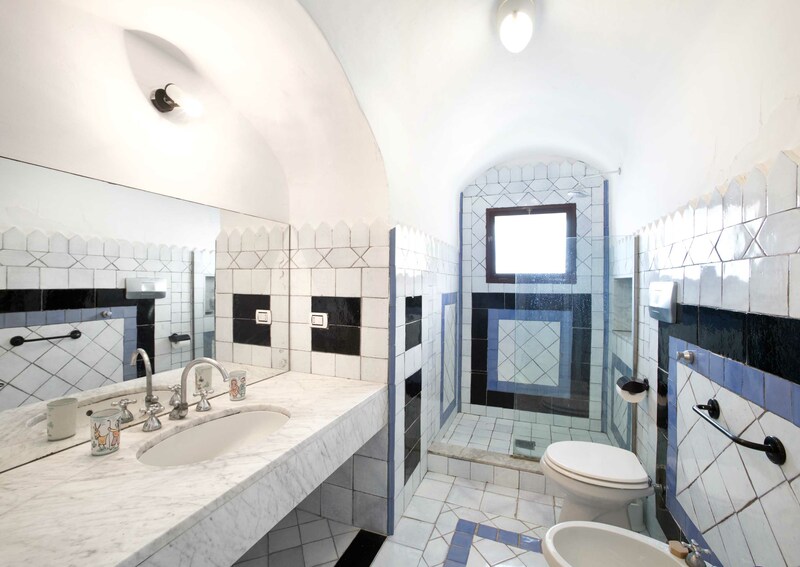 The pool leads down several steps to two dressing rooms with four showers and one bathroom. From a small window in one of the dressing rooms, you can see inside the pool. 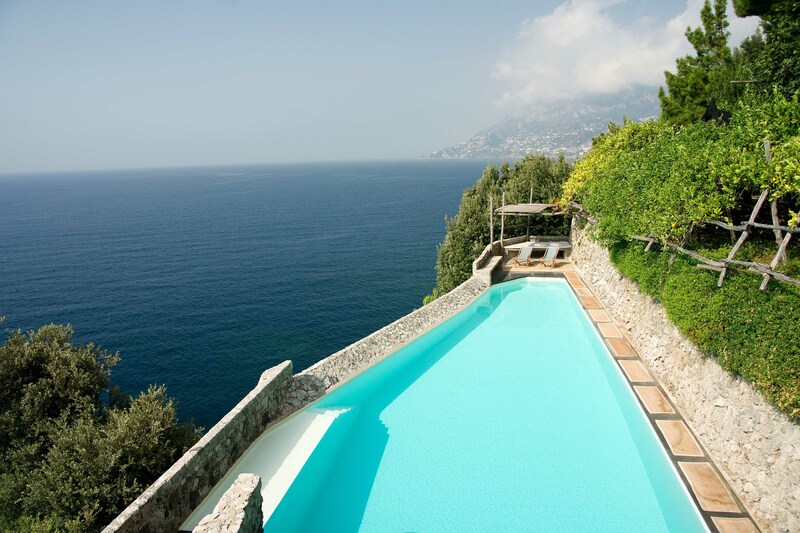 Private swimming pool open from May to October (with salt water). Direct Access to the Sea: The property enjoys direct sea access from a concrete platform built on site (reachable on foot or by electric golf cart). 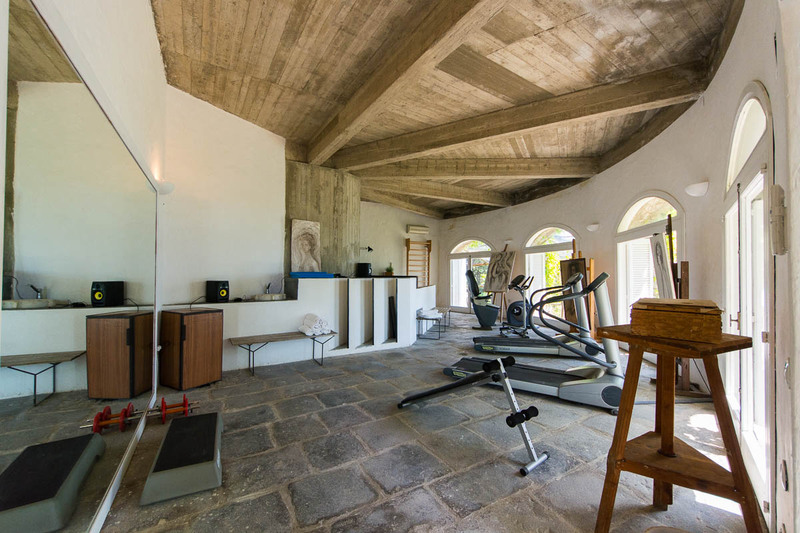 Fitness Room with bathroom The gym is located in the garden area (reachable on foot or by electric golf cart) and boasts two treadmills, a spin bike, a decline/sit up bench, and a ‘step’ platform. There are three large panoramic windows and paintings that decorate the room. 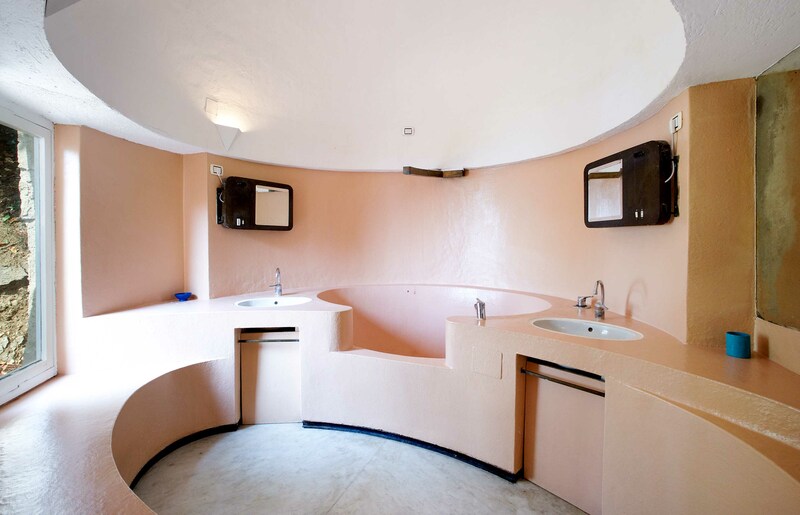 There is also a bathroom with a shower and toilet. (Note: the gym is shared with the Tower). 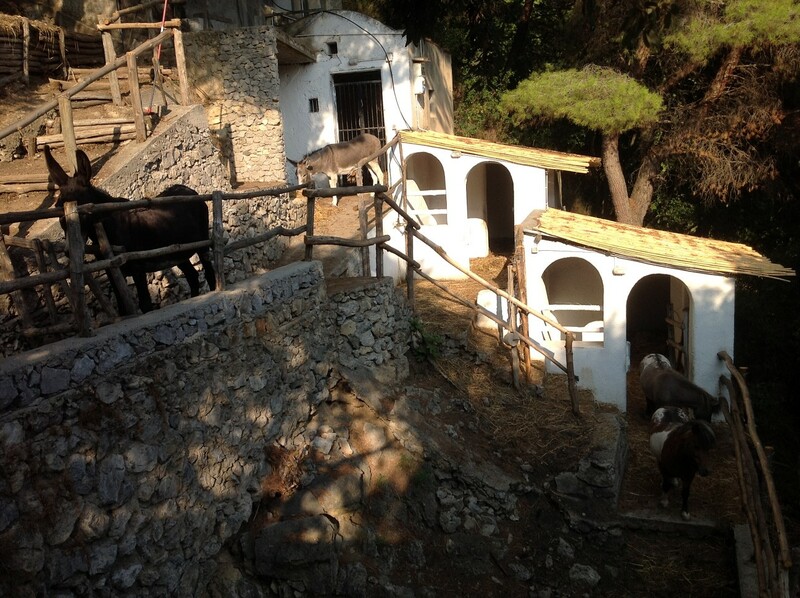 The Farmhouse: There is a small farm with donkeys, ponies, sheep and chickens, as well as dogs and cats, our faithful friends, and you can find them at Villa Luisa. The place brings a lot of joy, especially to the youngest visitors. (Note: The Farm is shared with the Tower). Note: The following services can also be arranged, on request, if not already included in the cost of the rental. Additional services such as airport transfers, excursions, cooking classes, guided tours, and the like can be arranged. 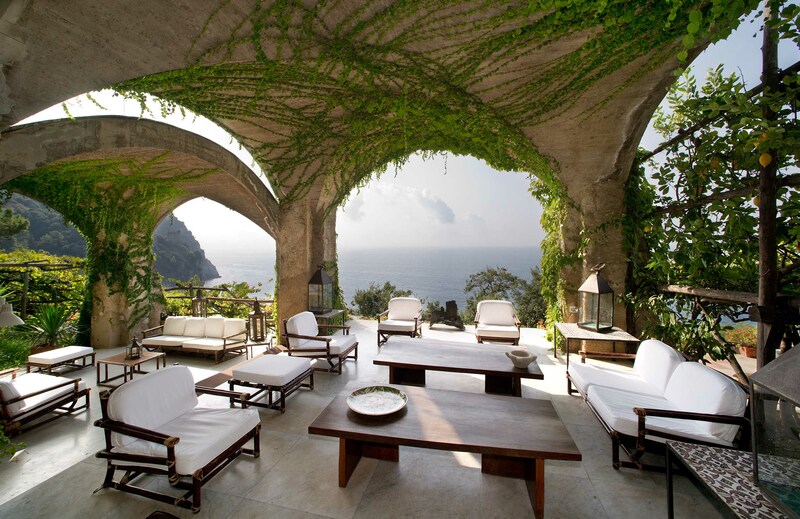 Please enquire about the vast tour options we can suggest for your villa stay. Costs for additional services can be quoted based on the service requested.